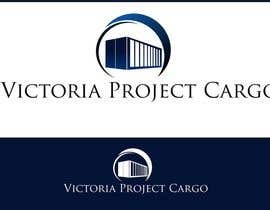 Company has one name: Victoria Project Cargo and a shorter name VP Cargo. The logo needed for a freight forwarding company (logistics, import-export of goods, not a manufacturer). The transportation is done via truck, ship, airplane, train. The logo can have the name in the logo but not necessarily. It could be an object related to the industry like a container or something else (just a thought, not the requirement) ... and probably not a single type of transportation (plane, ship, truck) because the shipments usually done on multiple types of transport. Please, look at some quality logo examples at [login to view URL] for an inspiration. Thank you all for submitting your designs. A few were really interesting and we were deciding between those 8-10 logos. A few were also interesting concepts but clearly it was not for the freight forwarding company but some unused designs for another companies from recycling and IT industries. A few were clearly first attempts in logo designs, I wish those designers luck and experience. The winner is #174 and the second design is #50. Good luck all. Kindly check my PM please. Please be kind enough to check my private message. Please check out #56 and let me know what you think! sir/madam: may i know d size of the logo you required? Please check #22 ,#23, #24, #25 , #26 .Leave a private message for any changes. Please check #22 and #23.Leave a private message for any changes. Please feedback on #17 and #18.Leave me a private message for any changes. sorry pls do not reject this design..................i submit your design very soon.